Wire cloth and wire cloth filters play an important role in the aerospace industry, including commercial airlines and military aviation. From removing critical system contaminants to filtering fuel, oil and hydraulic fluids, to improving cabin air quality and reducing noise, our unique wire cloth solutions help make the aerospace industry safer. From paints to cleaning sprays to textiles and more, the chemical industry produces many of the products we use every day. 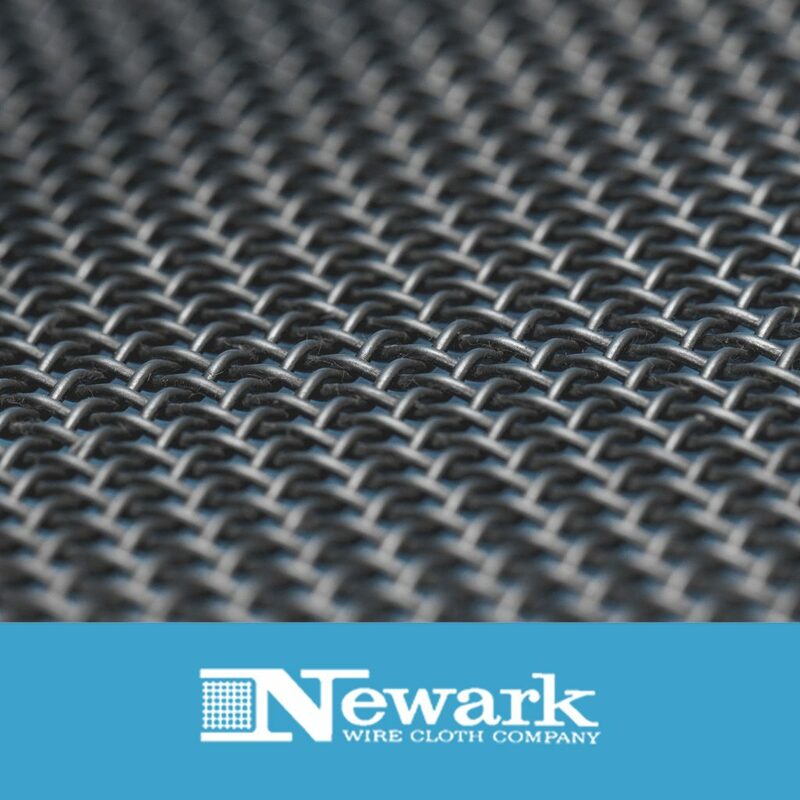 At Newark Wire, we are proud to provide the chemical industry custom wire mesh solutions; strainers, filters, resin baskets, mesh separation panels, and filter leaves so consumers and diverse industries can have access to life-changing products. Strainers and Filters; Inline, Side Inlet, and Basket Strainers are widely used in food and beverage processing operations. Whether removing contaminants, regulating product size, or bettering product quality wire mesh is often the ‘go to’ product for the job. Meat processing applications might require a perforated screen with 3/8” opening while juice processing operations might require a screen with a 100-micron opening. From beverage applications to all sorts of food applications; butter, chocolate, soups, ice cream, candy, baby food, wine, beer, eggs, yogurt, cheese, etc. strainers and/or filters are common place in the processing plant. Whether a small craft brewer or a large-scale cheese processing plant wire mesh offers a reliable solution. 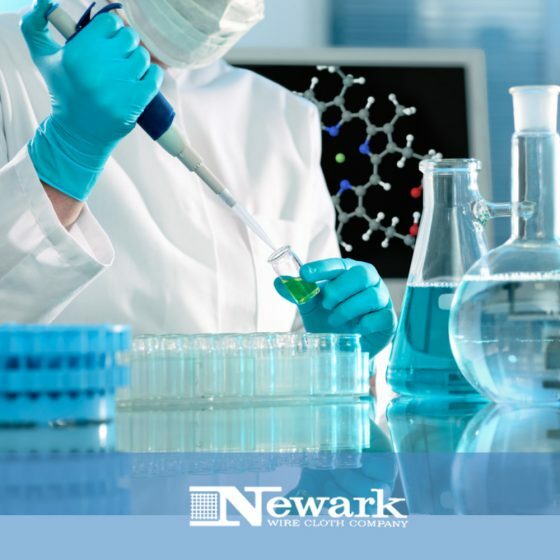 Whether a scientific, industrial, environmental, or food processing laboratory each requires a unique set of tools and equipment to do their testing Newark manufactured Test Sieves are frequently used by the various laboratories when checking particle size and particle size distribution. Regardless of the industry; whether checking the particle sizing in a rail car full of sugar, the granule size in the grit used for sandpaper, the granule size of the metal flake specks in automotive paint, or verifying the granule size in a pharmaceutical preparation test sieves are widely used to verify that the manufacturing process is producing the correct product, or that raw materials being supplied are supplied in accordance with the product requirements. Test Sieves are manufactured in accordance with ASTM E11 specifications. Test sieves, cut pieces of wire mesh, small wire mesh baskets; some with hinged covers and internal compartments, or other ‘custom designed’ configurations often help in running these tests. 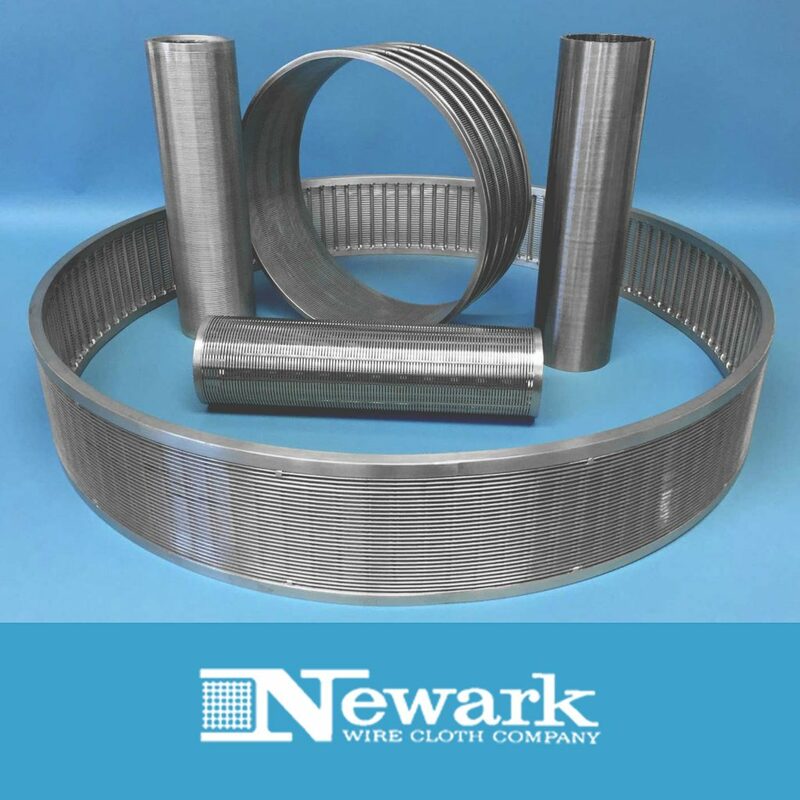 Newark Wire helps design, and fabricates a wide range of fabricated wire cloth parts and solutions for these highlyspecialized applications. Refineries are a big user of wire cloth and fabricated wire cloth parts; underdrain systems, resin trap strainers, vessel internals, conical and flat plat strainers, and wire mesh itself are all used by petrochemical processing companies. Refineries often require high temperature and/or corrosion resistant parts due to the nature of the process. Wire mesh can be produced in a wide variety of sizes and materials to support even the most challenging petrochemical applications. Whether you’re in the oil field or the refinery, we have solutions to today’s demanding applications. Our custom wire mesh solutions are used throughout the research, manufacturing and distribution cycles of today’s life-saving medicines and tomorrow’s breakthrough discoveries. Dry processing of product typically requires wire mesh in one form or another. Used in granulator screens, fluid bed dryer screens, test sieves, de-duster screens, or in any other custom application. Liquid processing often involves a strainer of filter. The filter is sized to the application based on the operating conditions. Wire mesh screens is at the heart of the papermaking process. Wire cloths plays an integral role in the manufacturing of pulp paper, specifically the de-watering process. The quality of the paper is directly traced back to the quality of and size consistency of the paper pulp. The more consistent the pulp, the better the quality of the paper; less imperfections, better quality, and a more consistent product for the manufacturer. Wastewater TreatmentThe importance of Wastewater treatment is critical if we consider the reality that water is a limited but renewable resource. 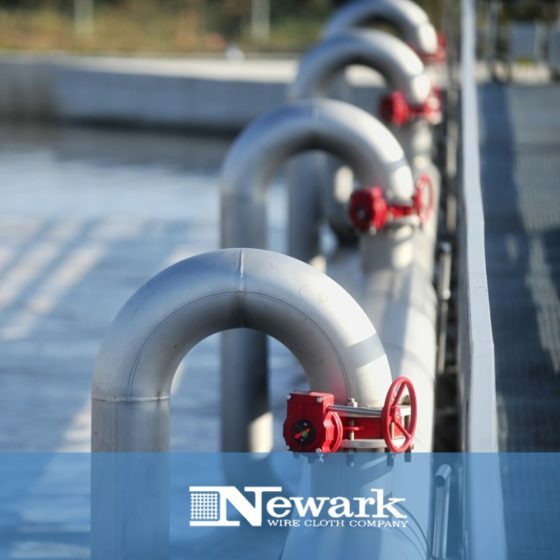 Newark Wire Cloth does its part in the preservation of this valuable commodity as a supplier of screens and filters for clarifiers, settling tanks, filters and separation equipment. Our engineers are quick to respond to the needs of this industry and offer assistance in the design of these screen products. Water treatment takes on many variations and definitions. Chemical Process, Utilities, Power Generation, Food, Drug, Beverage and various process industries all depend upon treated clean water as a critical ingredient. Our product line of Wire Cloth, SaniWedge wedge wire and perforated screens all play a part in this industry. Our vessel internals, laterals, underdrains, nozzles are all commonplace in the Ion Exchange, Activated Carbon and Sand Filtration processes. Newark’s SaniClean Sanitary Strainers are a standard in the industry and Resin Trap and basket strainers are engineered to suit process requirements. 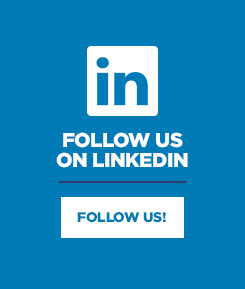 From the design stage to process completion, Newark Wire Cloths engineers are here to help.